On the night of February 9, the Academy of Motion Picture Arts & Sciences (AMPAS) held their annual Scientific and Technical Achievement Awards ceremony at the historic Beverly Wilshire Hotel. This year, six Technical Achievement Academy Certificates and three Scientific and Engineering Academy Plaques were presented to 27 individuals. The highlight of the evening was the presentation of the coveted and highly prestigious John A. Bonner Award Medallion, which was awarded to Curtis Clark, ASC, chair of the ASC Motion Imaging Technology Council (MITC). Academy president John Bailey, ASC (also seen above with the night's honorees) helped open the show. The 2019 celebration was hosted by two-time Golden Globe nominee David Oyelowo (Selma, Nightingale), who opened the ceremony by announcing that he was honored to stand among his peers. “Not my technical peers — because I wouldn't know a B-spline from a specular map — but I mean my mispronounced name peers!” he joked. Oyelowo continued, “We've got some great awards tonight. Photoshop is here! ...Receiving an award this evening they are. They weren’t originally one of tonight's honorees, but a very few quick brush strokes and, what do you know? They Photoshoppedthemselves into the program. One of the first presentations was an Academy Technical Achievement Award to Eric Dachs, Erik Bielefeldt, Craig Wood and Paul McReynolds for the design and development of the PIX System’s novel security mechanism for distributing media. For more than 15 years, PIX has been an unsung hero of Hollywood. The dailies delivery system has been used on nearly 5,000 movies and television productions, and the equivalent of over 3.6 billionfeet of film has been passed through the system. PIX was introduced to the market in 2003, quickly becoming the industry’s most trusted and widely used secure communication and content management solution provider. PIX has enabled a faster, secure and broader pipeline for the movie industry to be more collaborative – changing the digital landscape of movie making. PIX System’s robust approach to secure media access has enabled wide adoption of their remotely collaborative dailies-review system by the motion picture industry. An Academy Certificate was then awarded to Per-Anders Arvid Edwards for the initial design and development of the Maxon MoGraph toolset in Cinema 4D for motion graphics. The roots of motion graphics as an artform can be traced back almost a century to the work of Walter Ruttmann on Lichtspiel: Opus 1 (1921). Four decades later, the technique was advanced to mechanical/analog computer graphics for commercials and television productions by pioneer John Whitney. In 1958, Whitney collaborated with graphic designer Saul Bass on the title sequence for Alfred Hitchcock's Vertigo. Bass, who began utilizing groundbreaking motion graphics on Otto Preminger's The Man with the Golden Arm, would go on to incorporate these techniques on dozens of other films, including North by Northwest and Psycho. MoGraph is an addition to the Cinema 4D application for modern motion graphics. It provides a fast, non-destructive and intuitive workflow for motion designers to create animated 3D graphics, as used for title design and fictional user interfaces in motion pictures. For the efficient, artist-friendly workflow design of the Silhouette FX rotoscope and paint system, the Academy presented a Technical Achievement Certificate to Paul Thomas Miller — for the software design, principal engineering and continued innovation — and Marco Paolini — for the efficient, artist-friendly workflow design. Silhouette provides a comprehensive solution for painting, rotoscoping and image manipulation of high-resolution image sequences. Its fast, scalable and extensible architecture has resulted in wide adoption in motion-picture postproduction. Polarized Spherical Gradient Illumination was a breakthrough in facial-capture technology, allowing shape and reflectance capture of an actor’s face with sub-millimeter detail and enabling the faithful recreation of hero character faces. The Light Stage X structure was the foundation for all subsequent innovation and has been the keystone of the method’s evolution into a production system. Next, a Certificate was presented to Thabo Beeler, Derek Bradley, Bernd Bickel and Markus Gross for the conception, design and engineering of the Medusa Performance Capture System. The next award was presented to Charles Teorell Loop for his influential research on the fundamental scientific properties of subdivision surfaces as 3D geometric modeling primitives. Loop’s 1987 master’s thesis, “Smooth Subdivision Surfaces Based on Triangles,” together with his subsequent research and publications extended the theory of subdivision surfaces and inspired further development of methods that transformed the way digital artists represent 3D geometry throughout the motion-picture industry. Following Loop's award, Catmull, DeRose and Stam received their upgraded Academy Plaque — Catmull for the original concept and DeRose and Stam for their pioneering advancement of the underlying science of subdivision surfaces as 3D geometric modeling primitives. Their creation of essential geometric operations and sustained research on the fundamental mathematics of subdivision surfaces helped transform the way digital artists represent 3D geometry throughout the motion picture industry. Eight additional Scientific and Engineering Award Academy Plaques were presented to David Simons, Daniel Wilk, James Acquavella, Michael Natkin and David M. Cotter for the design and development of the Adobe After Effects software for motion graphics. Thomas Knoll and John Knoll were then recognized for the original architecture, design and development, as was Mark Hamburg, for his continued development and engineering of Adobe Photoshop. The program’s efficient, extensible architecture, innovative virtual-memory design and powerful layering system introduced a new level of user interactivity, which led to its adoption as the preferred artistic tool for digital painting and image manipulation across the motion-picture industry. The evening's top award — the John A. Bonner Award Medallion — is presented to an individual in recognition of extraordinary service to the motion-picture industry. This year, the recipient was the Society's own Curtis Clark, ASC. Bonner served as an Academy Governor representing the Sound Branch, and he was the chair of the Academy’s Sci-Tech Council. His volunteer work and dedication to AMPAS spanned more than 30 years, and in 1994, he was awarded an Academy Medal of Commendation for his years of service and devotion. He was so impactful that, after his death, the very medal he won was renamed after him. In high school, Clark became involved in film and theater and developed an aptitude and passion for directing. He went on to receive his bachelor of fine arts in theater directing, but soon realized that it was not the right career choice for him. He then went to the London Film School for a graduate degree in filmmaking and discovered a love for cinematography. His first feature film after graduation was the seminal The Draughtsman’s Contract (1982), directed by renown stylist Peter Greenaway. It was Clark's pursuit of understanding the technical minutia of film that led him to the choice of shooting Draughtsman’s in the nascent Super 16 format — at the time untested for 35mm blow-up for a theatrical release. Yet, through his own detailed investigation, the technical knowledge that he had gained informed his creative decisions, and the film was an extraordinary success. The fact that it had been originated on Super 16 remained secret for many years. Over the years, Clark has remained steadfast that a keen understanding of the technical is what informs the creative decisions of the filmmakers and helps to make sure their creative intent is fulfilled. His travels and technological interest landed him with an early entrepreneurial endeavor into geosynchronous satellite communications for the entertainment industry, affording filmmakers with the ability to real-time collaborate with dailies and visual effects from remote locations. When Kodak unveiled the Cineon system in the early 1990s, Clark saw the immediate implications on the future of cinema. As the first non-video-based system of digitizing film, it opened the possibility not just for visual effects manipulation, but greater control over the color manipulation of the image that wasn't possible in photochemical color timing. His understanding of the technology allowed him to be at the forefront of this new movement. 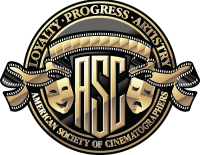 In 2002, when then–Society president Steven Poster, ASC made the decision to form the ASC Technology Committee to take a stand in the new digital revolution, Clark was his singular choice to chair the new group. His leadership of the Committee over the last 17 years, which would become the Motion Imaging Technology Council, has resulted in a symbiotic partnership with the Digital Cinema Initiatives to form the standards for digital cinema. 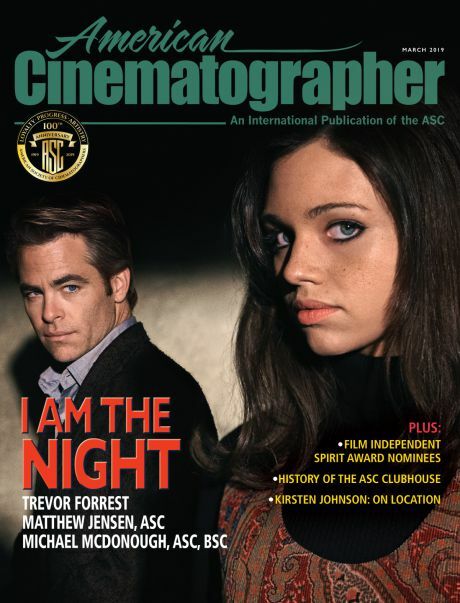 This includes the creation of the ASC CDL — a color correction metadata language that allows the cinematographer to establish looks on set that can be communicated to any post facility on any software — as well as many more innovations for which the ASC has been at the forefront under Clark's careful guidance. His impact on the world of cinematography, the ASC's position in the industry as a technical and creative authority and the modern world of digital filmmaking is unquestionable and the motivation behind the Academy's high honor. “For me, the attraction of cinematography has always been the aesthetic role that it plays in sharing narrative storytelling through compelling images that instilled the viewer with a sense of wonder,” Clark continued as he received the award. 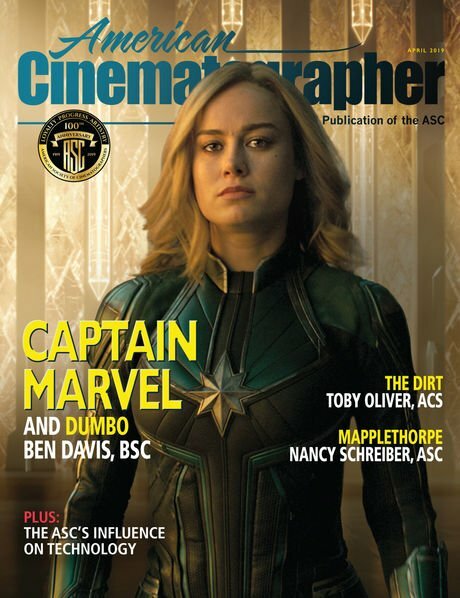 “It was many years later at the London Film School that I felt compelled to understand the technical foundation of the motion picture image to better explore the artistic possibilities. At that time, motion pictures were an exclusively film-based system. 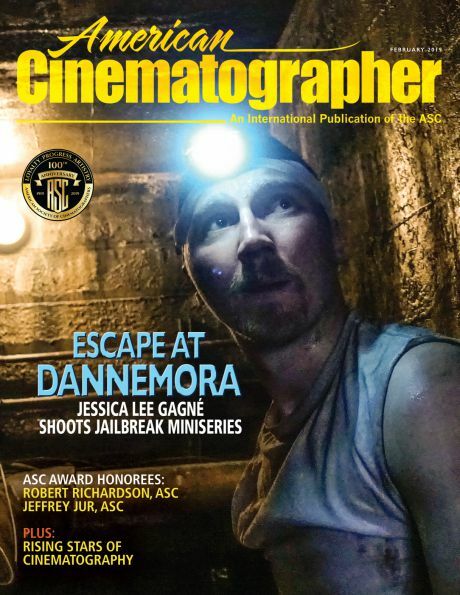 When digital cinema started to emerge as a reality, the American Society of Cinematographers asked me to form a technology committee, later renamed to the Motion Imaging Technology Council, to assess these new digital imaging technologies with a view to influence their development in ways that best serve the creative work of cinematography and the filmmaking process.